As soon as you will reach out to me I will answer back providing immediate feedback on your request. “Immediate” might take on a different meaning depending on the time when you get in touch, as I am answering emails only during work hours, and as it might take me up to 2-3 days to get back to you during wedding season, i.e. May to October. Typically, I will let you know if I’m available for the dates you’re looking at, I will provide a starting point for my fee for the service you enquired about and I will direct you to easy online tools to move forward in your journey. Unlike what is usually advised for emails, mine are on the longish side as I try to pack them with as much info as possible. It’s my way of making this first bit of communication as informative to you as possible, especially since I next ask for YOUR information! In my first email I direct you to my preliminary client questionnaire, which is available online via Google Forms and it includes the most basic information I will need to base my formal offer on. I will need to see it before we meet for the first time, so that I can make the most of that meeting by asking for any clarification or extra information I might need to come up with my offer. It takes 10 minutes to fill in this questionnaire, but it ensures our meeting will be productive and conclusive for both of us. Once you’ve completed my questionnaire, you will be able to book our preliminary consultation directly and independently via Calendly (which is constantly synched with my Google Calendar), no need to come and go with emails checking our diaries or aligning time zones. 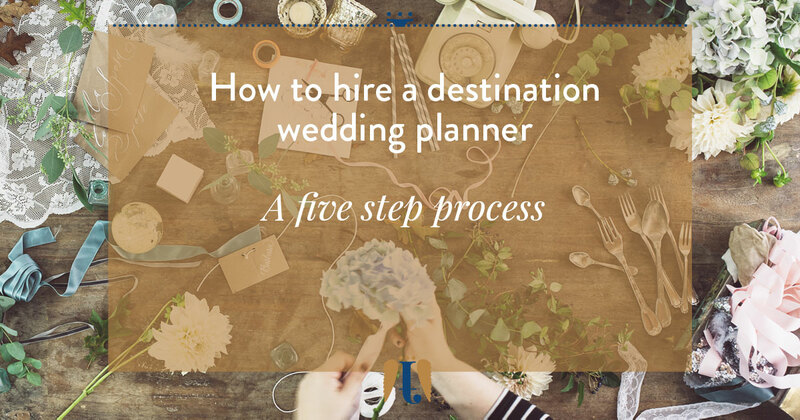 Again, this is a way for you to save time and to get started on the planning as soon as possible. This first meeting will be conducted in person or remotely, depending on what’s the easiest for you, and it will last approximately 60 to 90 minutes. This will be a veritable consultation and I will provide insights on your planning so far and which steps you might want to take going forward. It will be a great opportunity for you to ask me questions, get to know me and find out if I might be the right person to work with. I will also ask you questions, trying to complete your answers to my questionnaire as much as I can. The second main goal for this initial meeting is precisely to provide me all of the information I need to put together my proposal to you. You will have at least two weeks to evaluate my offer and to compare it with any other you might have collected from other colleagues. During those weeks the date you enquired about will be provisionally booked for you. In the event that somebody else should inquire for the same date while you’re still reviewing my offer, I will let you know only if the other couple is interested in booking me, so at no time you will miss your slot. If you decide my offer is satisfactory and that fatamadrina is the right destination wedding planner for you, I will send you a contract to sign. This document binds us both to the project and it lists our respective rights and responsibilities. You will review a mockup of it together with my proposal, so that when the time comes to sign it you have had a chance to check that you agree with all the terms. The contract also details payment information and what happens in case I should be unable to complete my service due to medical reasons. Basically, it’s my responsibility to find a replacement among the colleagues I trust the most, and to make sure that they’re up to date with every plan. This way, no matter what happens, you will not be left alone. Once the paperwork has been taken care of, and you’ve secured my services with a deposit, I will set up our planning environment on two platforms. I will create a board on Trello, with theme lists and action cards, where we will be able to keep track of what needs to be done and exchange quick feedback and comments. I will also create a shared Google Drive folder with useful files to collect information from guests and about your day. Each Google Drive file will be easily accessible via links on Trello as well, and the two platforms work really well together. Once Trello and Google Drive are configured we will be ready to start working on your wedding! So that was it, the five step journey to hire me as your destination wedding planner. How do you find it? Let me know in the comments below, or try it first hand by submitting your request via the form on this website 🙂 I cannot wait to meet you!